Finally my fascination with the occult and my need to keep my pants up coincide! 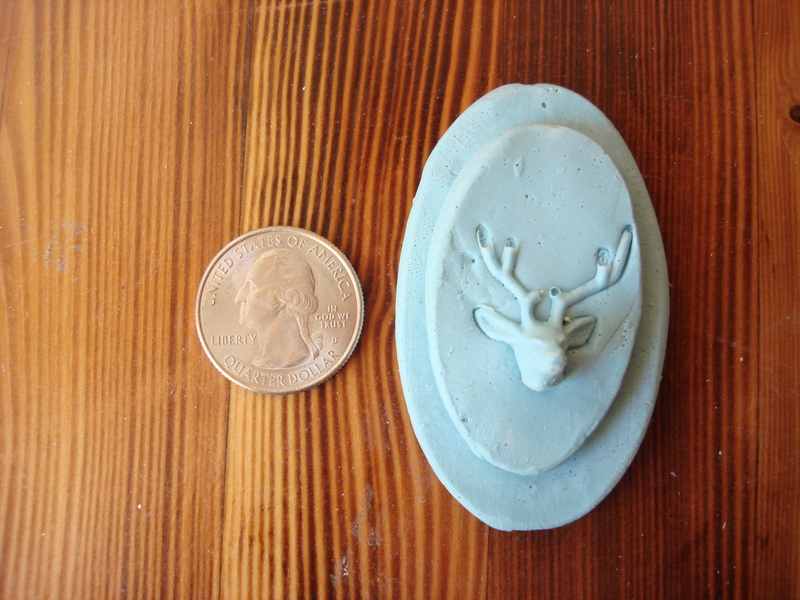 The devil head I made months ago, then cast in resin, is now a belt buckle! I drilled holes in the back of the head and installed some hardware. I think it may be generous to call what I installed “hardware” since I just bent pieces of peg board shelving brackets into what I needed. It nevertheless works. Just to give you an idea of how the belt loops into the hardware, here’s a picture of the belt doing just that. You may recall that the head consists on two parts: the horns, and the head itself. At some point it’d be fun to mold a pen into the horns, so you could detach them and write a mephitic contract. Have I gone mad?! 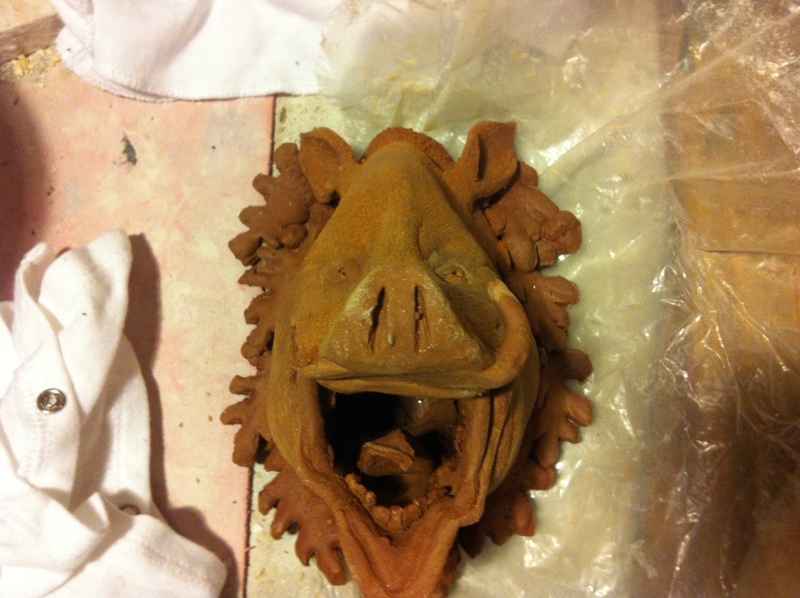 Yes, I have started yet another Boar head! 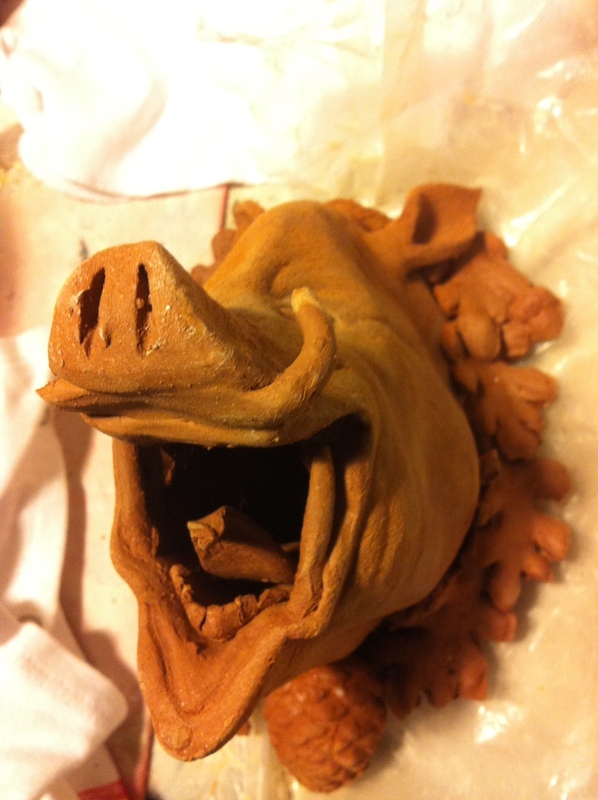 As with the fourth boar head, I tried to give this pig creases and wrinkles. 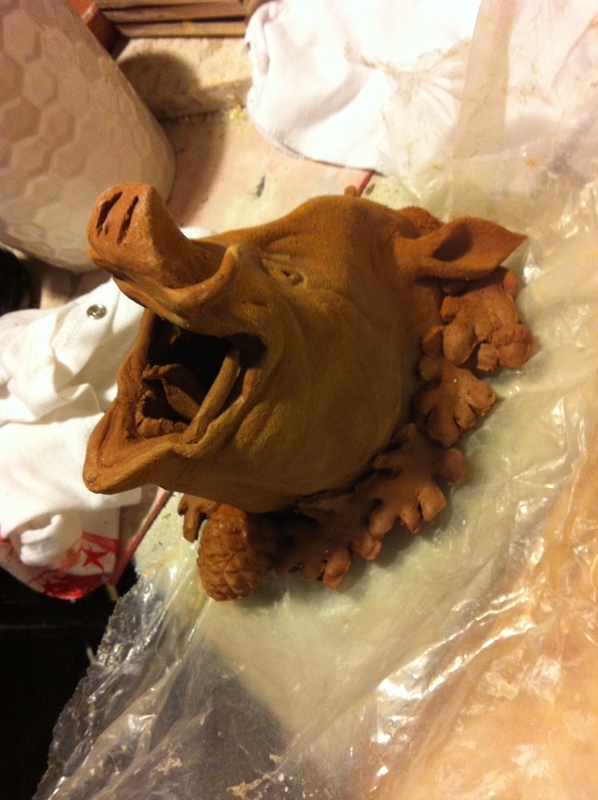 I thought I’d give this piggy a wreath of oak leaves to give this boar head an alpine feel. As you all know, I’m fond of trophy heads (fake ones, because I love animals). 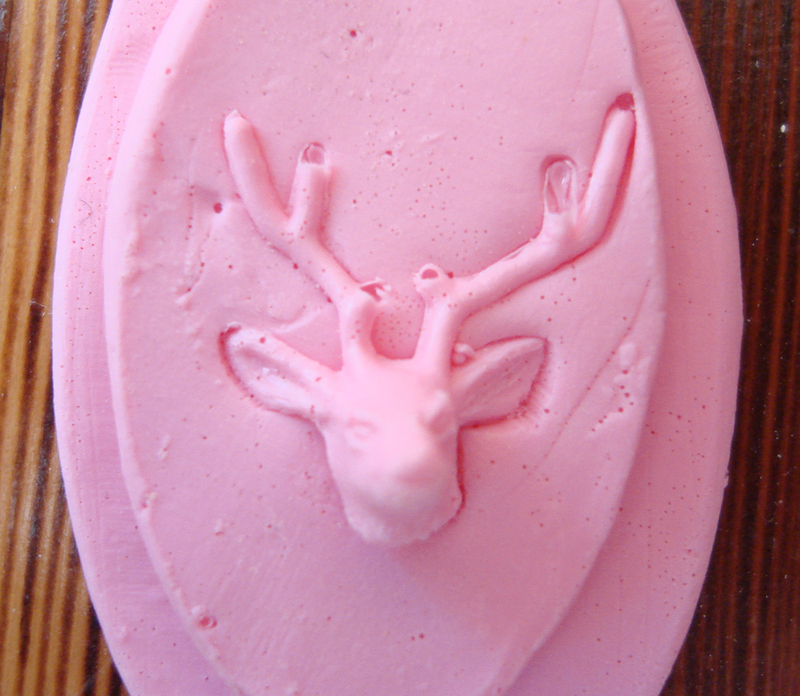 Finally I’ve made a resin cast that you can purchase! 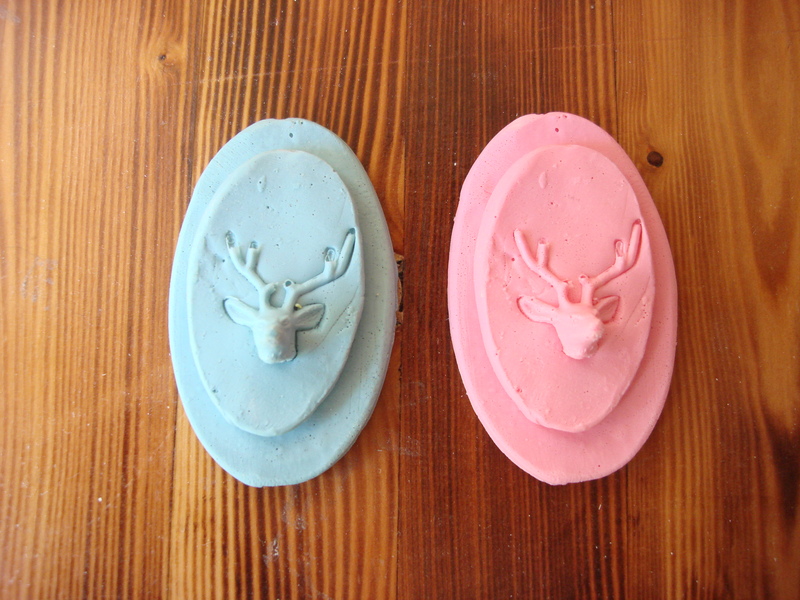 I finally got my Etsy store in gear so you can purchase hand made goods there! !